Our approach is based on the implementation of functions that maximize value for our customers, by addressing their core business and removing unnecessary and costly redundancies. 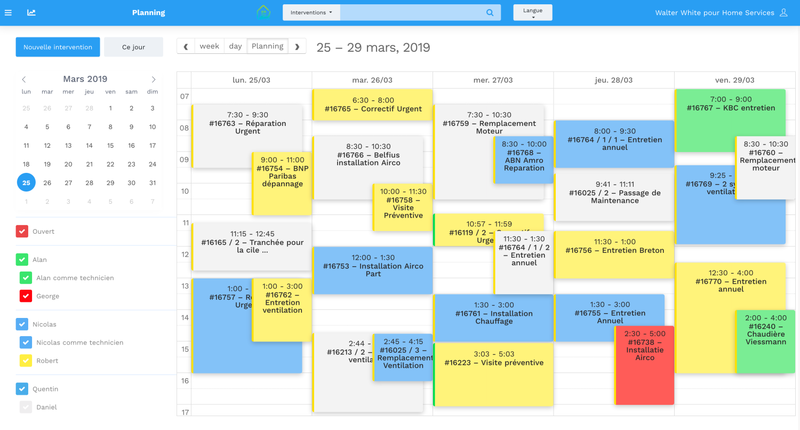 To help organise technicians' schedules, Yuman offers you a shared calendar with daily and weekly views, accessible on desktops and mobile devices. You can immediately see who is available and assign them a task with a simple drag and drop. The duration of intervention is automatically calculated according to the nature of the work required and can easily be updated. 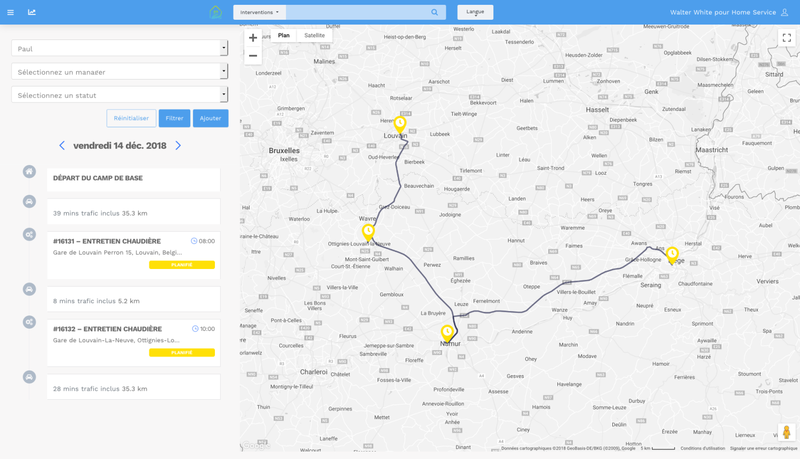 When a workorder is created, whether it is curative, preventive or an installation, the travel time from the previous site to the destination is automatically calculated in Maps and Traffic. You know where your technicians are and when they arrive on site. Throughout the day, you can follow the progress of scheduled interventions: what has been done and what remains to be done. You avoid traffic jams and reduce the time spent on the road by your technicians: traffic conditions are available both on the desktop map and on the technician's mobile phone GPS. Each maintenance technician has access, on the go and throughout the day, to a powerful tool, constantly updated, that allows him to save a considerable amount of time. Constant access to the updated list of workorders. Button to launch Waze route to the next site.